Master the query in four (4) weeks. 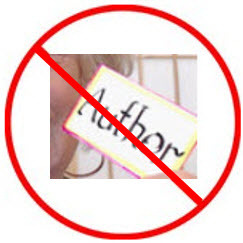 All writers are afraid they'll never become published, and will never need to order "author" business cards. What's the major factor in generating such debilitating fear? Most writers (possibly you) don't understand that the true purpose of the query letter is to show and sell. The query is a sales document, specifically designed to convince agents that you're the real deal: a competent writer with a salable manuscript. When I was a Publisher, Time-Life, and acquisitions editor, I rejected poorly written queries left and right. As a result, I developed techniques and templates that have (since 2001) helped writers craft effective query letters and land agents to help them navigate the publishing maze. My upcoming query workshop can do the same for you: propel you along the path toward publication. Molli’s workshop helped me figure out why my query lived in no man's land and how to correct it. Master the query letter, once and for all. Reserve your space in my live, Quantum Leap Query Workshop, beginning July 16. Working together in our virtual classroom, I'll guide you, step-by-step, through the query process. You'll learn how to write one that generates agent response of "WOW! Here's the writer I've been looking for. Order pizza! Let's celebrate!" What information must be in your query letter. How to avoid vague language that will sink your submission. How to determine the core of your story and write it in two (2) paragraphs. How to introduce your protagonist (main character) and, if necessary, their world. How to engage agent interest in your protagonist and their journey. How to apply "show and sell," the golden rule. How and why to employ first and second paragraph “tease” endings. Ten (10) hours of live instruction in a small group of eight (8) other writers. Four, on-line, 2 1/2 hour workshops in a virtual "Zoom" classroom. We meet, live, as we read (using screen share) and evaluate query drafts. Two tutorials, one on the query, the other on red-flag words. Convenient Saturday meetings: 9:30AM to Noon, Eastern. Four classes: July 16, 23, 30 & August 6. Weekly query draft writing assignments. Written and verbal evaluation of your five (5) query drafts. Feedback and masterminding in a Private Facebook group. By the end of this four-session workshop, you’ll have solved the how-to-write-a-query mystery. You'll have a dynamite query to help you get what you want: the right agent to guide you through the publishing maze.
. . . from Jennifer, moving along her path toward becoming published. Molli’s workshop has been more than helpful. I now have a much better handle on how to write a query than I did before. Well worth the time and money. BTW: If you retained me to help you privately, your cost for all of the above would be $1000+. Instead, join my live, on-line, workshop with eight (8) other writers and receive all of the above for only $147. Is this a good deal or what? Workshop spaces go fast. If you want to participate, ACT NOW. email me at getpublishednow.biz@gmail.com and request to join the workshop beginning July 16. Write QUERY WORKSHOP on the subject line. I'll invoice you for $147 from PayPal. Spaces are filled on a first-come-first-pay basis. After you've paid the invoice, I'll email you links to the tutorials, along with your first writing assignment to be submitted by July 14. Just imagine how empowered you’ll feel when you finally understand how to show and sell your story and your skills. You'll know how to write a query that engages agent interest so they’ll read it, then move on to read your manuscript pages: the goal all along. look forward to requests for full manuscript submissions. Take a quantum leap and master the query once and for all. Join me in this workshop and make 2016 your summer of success!